aids in preserving healthy cholesterol levels and keeping a healthy heart. can help control excess weight. prompts bile flow, which breaks down fats. 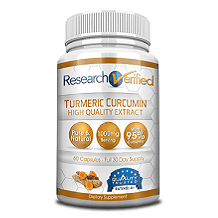 helpful in relieving negative symptoms associated with arthritis due to its anti-inflammatory properties. Various herbal products are available in the market, and that can make it difficult to decide on the one best suited for your needs. Glitzy marketing campaigns don’t always emphasize a product’s safety, and can hide negative aspects (such as a product’s lack of efficiency). This is why we felt it best to research this product and help users see if it’s right for them. 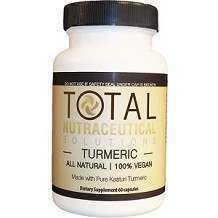 The main ingredient in it is Pure Kasturi Turmeric. The product is suitable for vegetarians since no gelatin is used. It’s also free of wheat, gluten, soybeans, dairy, egg, fish/shellfish and peanuts/tree nuts, which makes it suitable for use by people with allergies to the items mentioned. The maker of the product has states on the web site that one should take 2-4 capsules once per day with a glass of juice or water. Side effects have not been reported with this product. However, you should talk to your doctor and halt usage if you have an allergic reaction to any of its individual components. The product has been cleared safe for long term use. The manufacturer lists the product for $14.99 on its website. At the time of writing this review, no mark-downs, coupons or promotions were available. Many health supplements are available for those who need to find one that suits their needs. Still, the variety can be difficult to navigate, especially since one isn’t always sure about a product’s safety, or if it will do what it says it will. This might be an acceptable product from a reputable company, and it’s a vegetarian product that could sway consumers who don’t want to ingest gelatin. Still, no information is provided online about whether or not the product is FDA approved, and there were very few reviews from customers.